This is my entry for the December contest on the Gnomonworkshop.com forums. I saw the character design for the new Hobbit movie and I can't say that I like it. 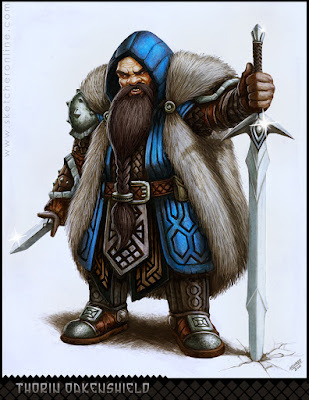 Some of the dwarves don't look like dwarves. So I decided to go with a more traditional approach. I will post the work in progress for this soon. Hope you like it.